Blink and Caution by Tim Wynne-Jones. Blink is just your average street punk and is just walking down the corridor of a hotel looking for breakfast he stumbles across what looks like a kidnapping of a famous CEO except since when does the alleged victim exchange a lengthy conversation with the kidnappers that is not about ransom demands and being let go? Things only get stranger when the “abductees” throw the phone and the hotel keycard down the corridor. Of course Blink being Blink has a little look inside the hotel room and what does he find? Total chaos: the entire room is completely destroyed with torn pillows and smears of what looks like blood everywhere. Blink is more than just confused, it is then at that precise moment that the phone starts to ring and once again Blink being Blink he answers it and the caller turns out to be the CEO’s unaware daughter…. Blink has now been sent down a path of blackmail, lies and deceit. A path that (he worries) he will never be able to walk away from. 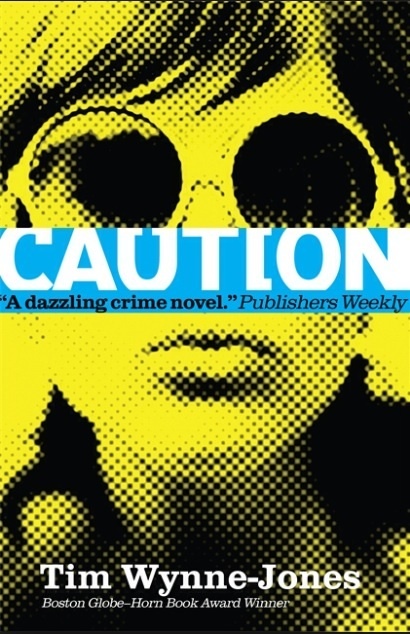 Caution is a messed up girl with a dark past and a death wish. After trashing her drug dealing Ex-Boyfriend’s apartment and leaving his car parked out in front of a police station with a bag full of weed on the driver’s seat she truly is on the run ….But then she meets Blink and together they get involved in a blackmailing scheme that is potentially fatal at best. The stakes are high and they have nothing to lose. So sit back relax and enjoy this award nominated piece of fiction that you will not be able to put down. Next Next post: Ethan,Suspended By Pamela Ehrenberg.